Affirmed Housing begins construction on The Stella, permanent supportive housing for Veterans in the Grantville neighborhood of San Diego. An Italian name which means “star”, Stella will offer comprehensive, on-site services for residents of the 6-story community. The site is conveniently located within a half mile of the trolley station and within 4 trolley stops of the local VA Clinic. The resident apartments will average 485 square feet and feature personal kitchenettes and bathrooms. Supportive services will be provided by Interfaith Community Services (Interfaith), with expertise in providing services for homeless and low-income Vets. 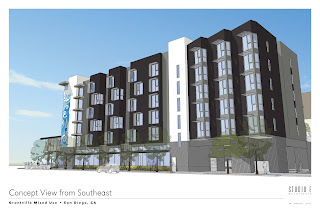 The project will expand the supply of much-needed permanent supportive housing for Veterans in an SDHC “Choice” neighborhood near veteran service facilities and frequent public transit. Funding partners include the San Diego Housing Commission, Boston Capital, US Bank, VASH, and CCRC. 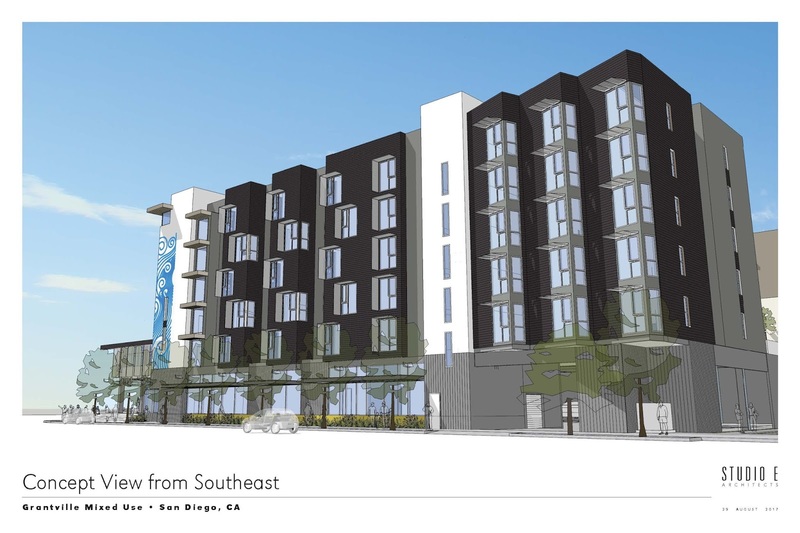 “This new development will provide much needed housing and supportive services for homeless Veterans here in San Diego. Not only will Stella provide for our Veterans, but the new community will also enhance a currently blighted street corner, as well as breathe new life into the local neighborhood.” states James Silverwood, President and CEO of Affirmed.